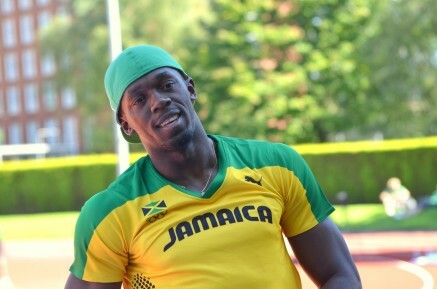 In his first 200m race for over a year Usain Bolt (JAM) set a world leading time of 19.86 secs in far from ideal conditions in the Bislett Games in Oslo. The rain fell hard during the 200m race but undeterred Bolt powered off the curve to cross the line over half a second ahead of Jay Ndure (NOR) with training partner Mario Forsythe (JAM) in 3rd. Oslo completes his first European tour of the 2011 summer after his wins in Rome and Ostrava. Perri Shakes-Drayton (GBR) placed 2nd in the women’s 400mH in a season’s best 54.77 secs behind Zuzana Hejnova (CZE) but ahead of the European Champion Natalya Anthukh (RUS). Andy Turner (GBR) clocked 13.32 secs to finish 4th in the men’s 110mH while Chris Tomlinson (GBR) placed 7th in a weather affected long jump.